The Companion Military Wood Cremation Urn is made in the U.S. from red alder and oak, beautifully finished with a clear varnish. 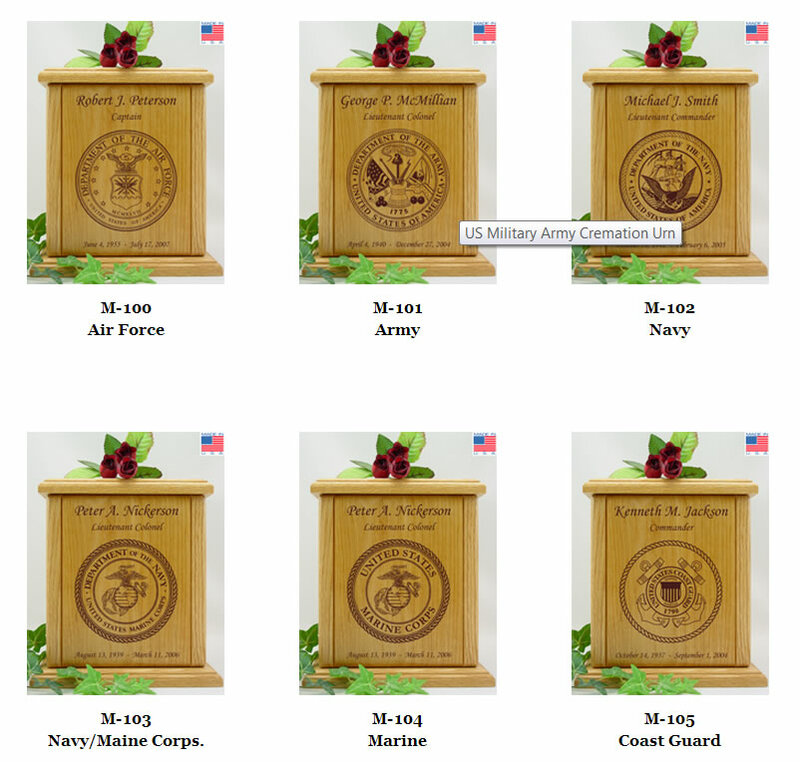 The urn is designed for couples where one or both persons served in the US Military Forces. Note: Click on the Detailed Images to see other military insignias. This urn can be personalized with the names, military ranks, and birth and passing dates of each individual. A sentiment can be added below the military insignia. This urn is a special order and takes 6-8 business days to complete prior to shipping, even for expedited orders.